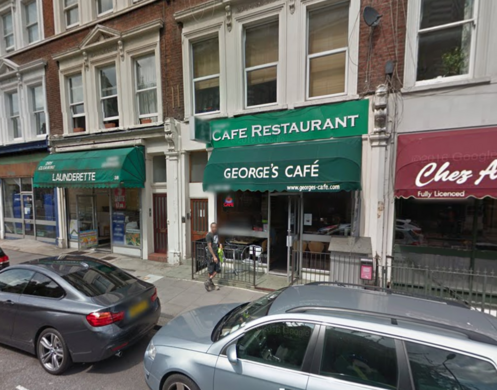 What is now nondescript cafe in West Kensington used to be the headquarters of a magical secret society. 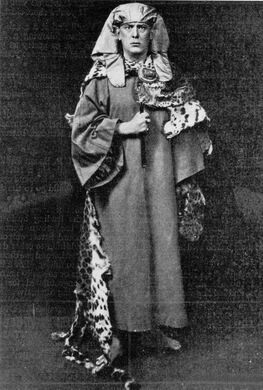 After being drawn in by friends with similar interests in alchemy and the occult, a young Aleister Crowley was intitated by a founder of The Hermetic Order of the Golden Dawn, Samuel Liddell MacGregor Mathers. The Golden Dawn was one of many secret societies in the 19th century, the best known of which is probably the Freemasons. However, this particular organization centered its practices on ancient magic and mystic philosophy. Crowley, confident and charismatic, rose quickly in the ranks of the Order. Mathers, who had been causing rifts in the community in recent years, took a particular shine to the young occultist. However, when Crowley attempted to join the 2nd rank of the Order he was denied admission by the London chapter, who disapproved of his leftist views and bisexuality. In response to this refusal, Crowley went directly to Mathers in Paris. 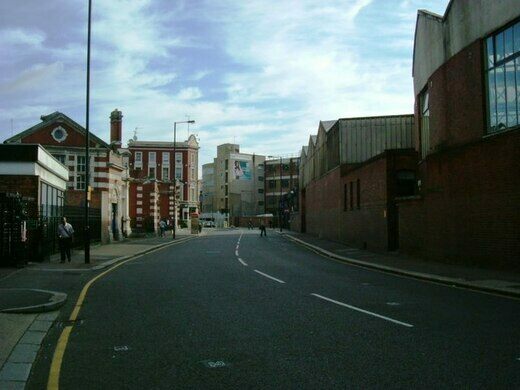 There, he was immediately entered into the highest level of the second rank, “Adeptus Exemptus.” The London chapter requested evidence and reasoning behind Crowley’s promotion, Mathers declined and dismissed the chapter as an official part of the Golden Dawn. In response, the London chapter renounced Mathers as their leader. On April 19th, 1900, while the poet and chapter leader W. B. Yeats was heading a meeting at the London temple of the Hermetic Order of the Golden Dawn, he was attacked by an “astral siege” from none other than Aleister Crowley. Crowley, wearing a black Osiris mask and a kilt, and his mistress burst into the temple, casting spells and brandishing daggers. They intended to take the temple for Mathers’, but were unsuccessful. The police came, the scuffle went to court, and the London chapter of the Golden Dawn won (as they paid the rent on the space). The Hermetic Order of the Golden Dawn disbanded a few years later. Today, there’s no sign anything so dramatic ever occurred here. George’s Cafe, which now inhabits the former temple, gives no indication that this was the spot a famous occultist pulled one of his crazy stunts.